The National Safety Commission has launched OfficialDMV.com, a new website created to prepare new drivers in all fifty states to successfully pass their driving exams. The website is designed with practice written exams and a simulated behind-the-wheel driving test to prepare first time drivers and to give them the confidence to successfully pass the driving exams the first time. 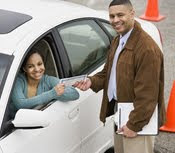 The DMV written tests, created by curriculum developers certified to teach driving schools in both Florida and Texas, are based on a proven training concept originally designed by the military. Each state's test, consisting of both a road rules exam and a road signs exam, were created using the latest version of the state's driving manual. When taking the exam, the student will see a test made up of forty questions randomly drawn from a data base made up of hundreds of questions. The new driver can take the exam as often as desired; each time gaining more knowledge and confidence. The simulated behind-the-wheel road test exam was designed by a certified curriculum developer and former driver's license examiner for the State of Florida. The computerized exam was created by Applied Simulation Technologies of Murray, Utah, a company well known for its expertise in designing educational online safety courses. The developers of the course have so much confidence in the material that they offer a money back guarantee to anyone who successfully passes the online course but subsequently fails their actual driving exam.